Here’s a rare one! This Streamliner is owned/restored by Nathan Pence and was painted by Dave Stromberger. Built by Huffman Mfg. 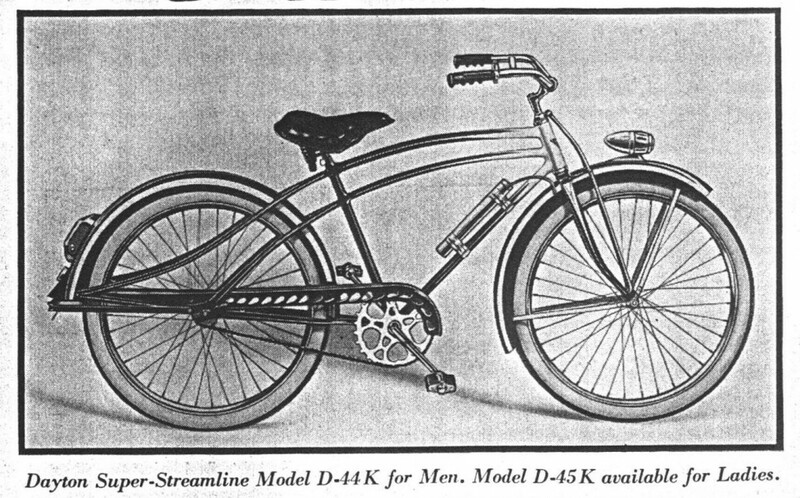 Co. and badged as a LaFrance, this streamlined, art-deco styled bicycle was a top-of-the-line machine, even though it didn’t feature a tank. 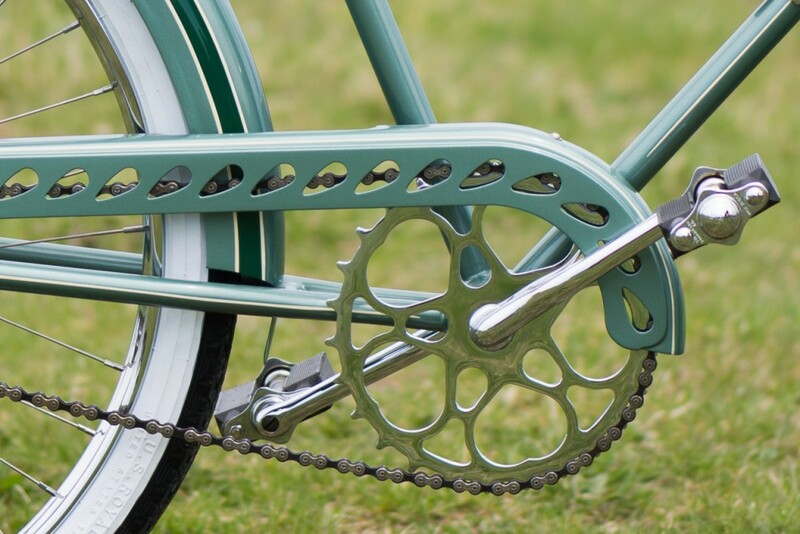 Although badged Lafrance, it is basically the same as the Dayton model D-44 of 1936.The long sweeping, streamlined frame is the same as the earlier 1936 Dayton Safety Streamline (and D-44), as is the chain guard. 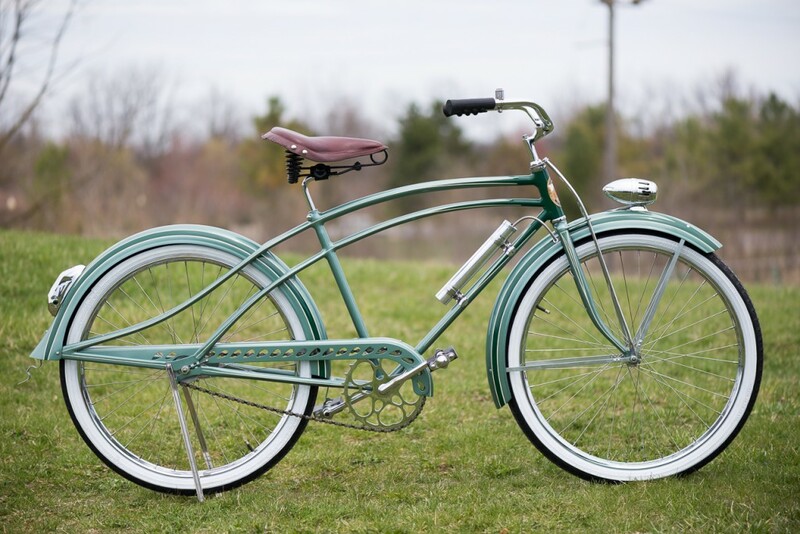 The fork and fenders are ’37 style with sides that don’t drop down quite as far as the ’36 Safety Streamline. 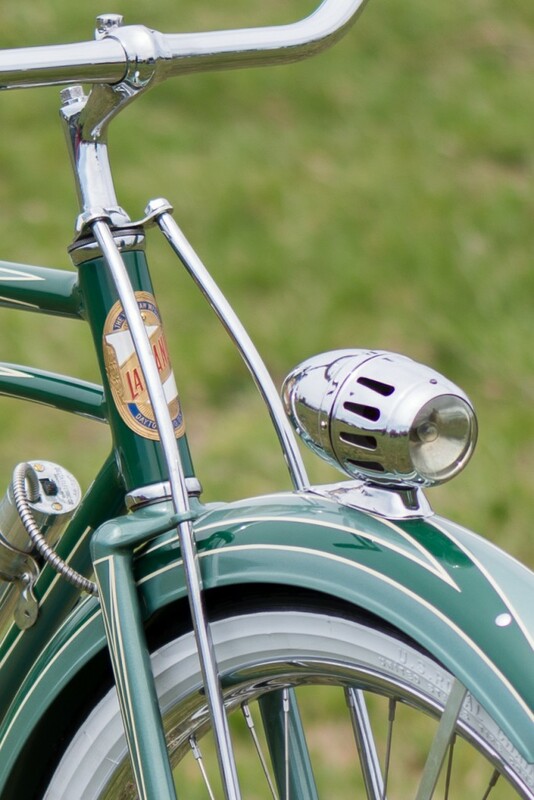 The rear fender has the flared/skirted rear portion similar to the ’36, but it was specially made (by hand on an English wheel) to fit the ’37 fender. The head light and tail light are made by Delta. 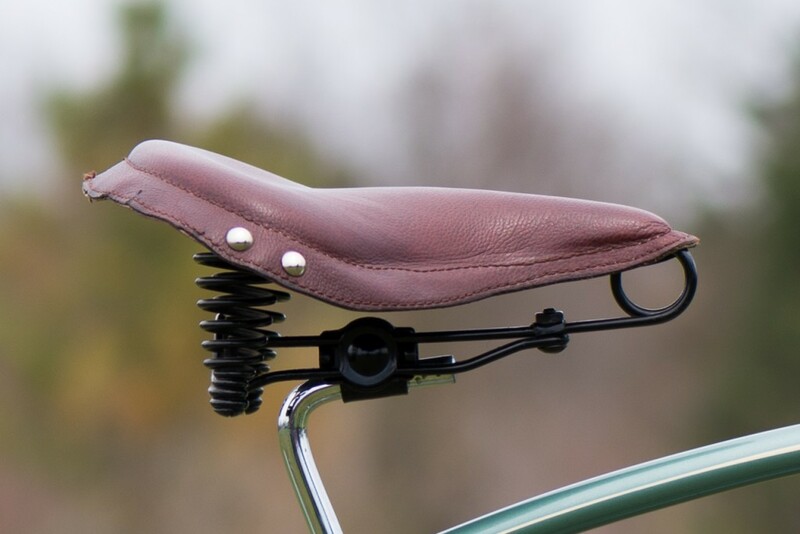 The seat is a rare Troxel nicknamed by the hobby as the “Tornado Spring Saddle”. 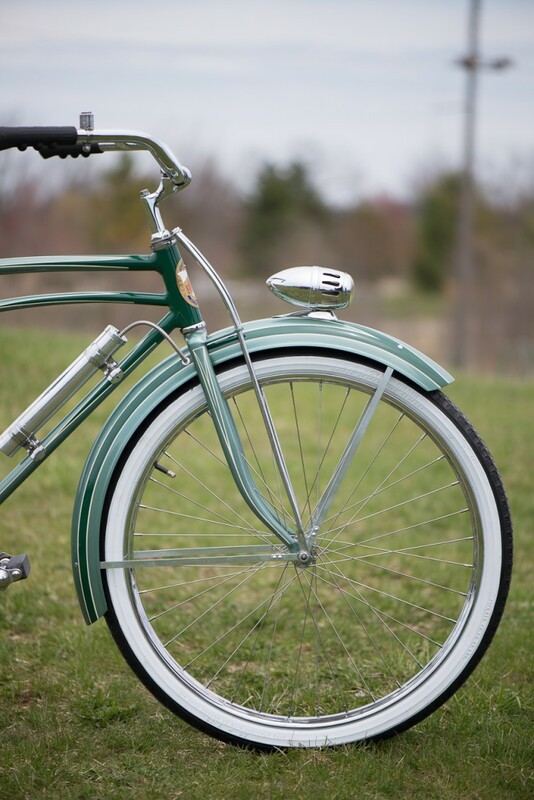 The two tone green paint with cream colored pinstripes complete the elegant 1930’s styling.